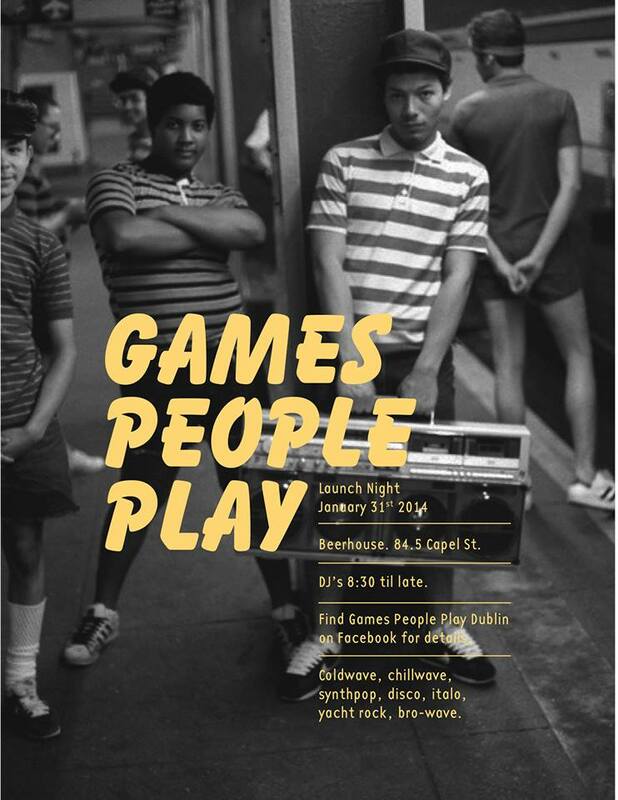 Stuck for something to do in Dublin tonight? Then look no further than a new night of music which debuts tonight in the Beerhouse, 84-5 Capel Street, Dublin. Kicking off from 9, ‘Games People Play’ is the brainchild of Aaron McCullough, Eoin Wickham, Karl Waters and Mark Keane. The lads will be playing a mixture of Disco, Italo, coldwave, chillwave, synthpop and Yacht rock. This is also the only place in Dublin you can hear what’s happening in the burgeoning Bro-wave scene. I, for one, cannot wait for tonights shenanigans.